Is There a New Star Trek On the Way? Angie Han at /Film reports that a writer by the name of David Foster (and his company, 1947 Entertainment) has a pitch for a new Star Trek series, which he has basically mapped out for a 5-7 year run. But before we get all excited about this actually happening, the piece makes it sound like this is just a Star Trek fan with an idea for a new show. There’s not much indication that it’s any further along than any past attempts to get a new series on the air, and while there are certainly signs that Foster is a devoted fan with every intention of remaining faithful to canon (he says as much in the piece; the show will take place post-Voyager but won’t have any alternate timeline stuff, a la the 2009 Star Trek), this still sounds to me like a guy who has invested a huge amount of time and energy in creating a new world and characters but isn’t any closer to a show than any fan who has done the same thing. I’m not sure why the story got picked up as though this is happening, but maybe it will be some sort of self-fulfilling prophecy — the story will generate interest and the show will go to series based on that. There hasn’t been any kind of Star Trek series on the air (not counting reruns in syndication) since Enterprise was canceled in 2005 — which, incidentally, marked the first time a new Star Trek series wasn’t airing since The Next Generation started in 1987. I’m a little skeptical about whatever the next Star Trek series is going to be, if we do, in fact, get one at all (and I think we will eventually). When DS9, Voyager and Enterprise went on the air, it was with the understanding that they were appealing to the (admittedly large) niche audience of Trekkies. Or Trekkers. Or whogivesashit. 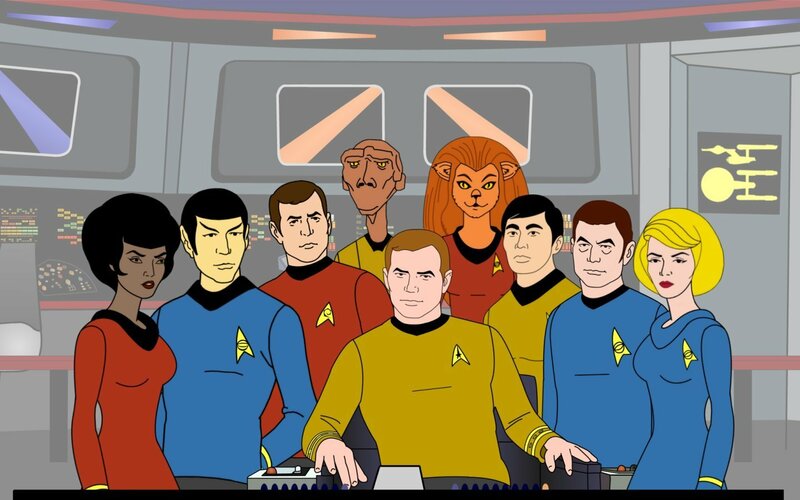 Now that J.J. Abrams’ Trek has opened the universe to a new, wider audience, I fear that Paramount won’t be interested in a new series reverting back to niche appeal — any new show will have to be a show for everyone, and I’m not sure what that would look like. Still, if this means we’re closer to having a new Star Trek show on the air, I’m all in favor. I’m still in the honeymoon phase, so any Star Trek is good Star Trek as far as I’m concerned.